Trustees eliminate membership meetings forever! As many of you know, the trustees changed the bylaws last May and had the rubber-stamp committee of the future approve them. Within the next two weeks, they shoved these bylaw changes down the membership’s throats by illegal voting in direct violation of the constitution and bylaws of Local 73 and the international. There were many changes in the new constitution and bylaws, such as banning Local 73 staff from running for office, but the most damaging change came when the trustees eliminated all four annual membership meetings required by the old constitution. This act alone will completely take the members’ rights away when it comes to holding their leaders accountable and charting the direction of their local. Dian Palmer, from the very first day she came in from Wisconsin as a trustee, hated the membership meetings and the fact that the members were asking questions. Members can no longer vote on their quarterly union budget/financial accountability. Members can no longer vote on dues increases. Members can no longer vote on any mergers with other unions. Members can no longer vote on bylaw changes. Members can no longer question their union leaders and call a motion to conduct business charting the direction of their own union. Members can no longer come to membership meetings and exchange information with other members in order to educate themselves on what is going on in their union. Losing all of these rights is losing your voice as a member to participate in the direction of your union. All of these rights are now deferred to the executive board only. Due to membership demands, and the fact that the members have not attended a membership meeting in over a year, Dian Palmer decided to hold a membership meeting February 23rd, 2019, at 9AM. Let’s show up and tell her exactly how you feel about your loss of democratic rights to govern your local! I urge all the members of Local 73 to participate and let Dian Palmer know that she has taken away their voices by eliminating the membership meetings. Let the current leadership of Local 73, who don’t want to be held accountable by the members, know that you will vote them out the very next chance you get! Sister & Brothers! Our collective action has created the energy that was needed to elect real Union candidates for Union office last year. We came up short but we made a statement that our voices will be heard. In order to finish the job, we need to make our final push to get the membership out to have a voice & vote and make sure we send a strong message at the Union meeting. That our members care about democracy, membership meetings, finance of our union and the direction of our union. We need to ensure our members get out and attend the upcoming Membership meeting to be heard. Vote on our issues! Join our efforts! As we reported in our last issue, the International Union was supposed to investigate the election appeal within 90 days of filing, but to date the International Union has not responded with an answer or held a hearing whatsoever. As 90 days have passed, members of Local 73 have filed a charge with the Department of Labor. The Department of Labor will now conduct a full and thorough investigation over the next 30 days. Should the Department of Labor find any violations of labor law or constitutional bylaws, they have the power to order a new election to be held within 60 days of its finding. We are confident that the department of labor will overturn this election and order a new, fair election conducted by them, and give the members true democracy and voting rights. Dian Palmer wasted no time after the election, giving herself a salary of $166,000 per year. In her haste, she forgot to read her own bylaw changes and their requirements. Although Palmer can increase her staff salaries, which she did, her own salary is set and approved by the executive board. The charges filed by the members are given to the secretary of treasurer Joe Richert and a hearing by the executive board will follow within 30 days. Copies for ethics violation will be given to Dan Zapata, union attorney. Dian Palmer acts as if she’s above the law. These are the very bylaws that she dictated to Local 73 members, but she does not seem to want to follow them! Historically speaking, the authoritarian playbook is always the same. Their ultimate goal is to consolidate power, and they always use the same time-tested techniques. First, they start by attacking the free press. This is just a way to weaken the media’s ability to hold a ruler accountable. You can see this dynamic in play when Trump calls any negative coverage of his administration “fake news” and threatens to take away the media’s credentials. Next, they will usually try to blame the country’s problems on minorities or use other vulnerable populations as scapegoats. This gives the ruler a way to validate people’s concerns, while redirecting their anger towards a specific group. If people start protesting or revolting, they will blame the dissent on foreigners or paid protesters. This usually gives a ruler justification to use force against civilians or to strengthen police forces. Next, they’ll try to weaken judicial checks on power. They usually do this by publicly discrediting judges or the judicial system, defunding departments that investigate internal criminal activity, and working to remove people from powerful positions that are not loyal to the regime or its ruler, which leads us to the value of loyalty. Authoritarians will always reward loyalty over competence because they fear a system that holds them to the same ethical and legal standard as everyone else. This is why you usually start to see very unqualified people running departments that they shouldn’t be running. Under an authoritarian system, their loyalty is more valuable that their knowledge or skill. Mary Kay Henry holding hands with Nancy Pelosi before Trump’s State of the Union speech. Under an authoritarian government, elections can and do happen, but they have no power to yield any type of social or political change, and often there is widespread election fraud and opposition is discouraged or eliminated by any means necessary. There is no doubt that SEIU President Mary Kay Henry does not condone any authoritative leaders, especially not Trump. Why then, is she running SEIU International in a way that so closely resembles the description of an authoritative regime? 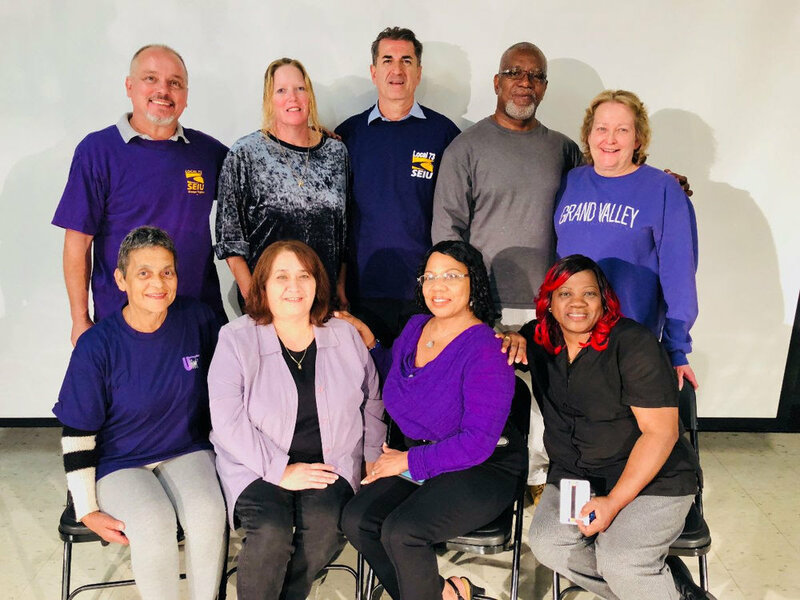 SEIU is widely known in the industry to demonize and silence individual staff that speak publicly, criticizing leadership and advocating on behalf of members. SEIU threatens or terminates its employees if they are not loyal to the president or the International Union. SEIU hires and promotes staff based on loyalty and not merit. SEIU has drastically changed Local Union bylaws in order to maintain power and eliminate member involvement. The hypocrisy is apparent. Mary Kay Henry runs her union in an authoritative manner, at the same time, she points the finger at employers and government officials, shouting for more democracy! There is a reason why this is happening, and it all has to do with Mary Kay Henry padding her pockets. While she’s accusing other leaders of authoritarian practices, Mary Kay Henry keeps a close eye and controls every aspect of who is in a leadership role in every local around the country. She makes sure to support presidents like Dian Palmer who are loyal to her because that is an individual who will not question her wholly undemocratic leadership decisions. This is a true sign of an insecure leader that has poor leadership qualities and will resort to authoritarian rule in order to maintain power, very much like Donald Trump. Mary Kay Henry rewards loyalty with big salaries, still paying consulting fees upwards of $120,000 to retired leaders such as Michael Fishman and Eliseo Medina. Even though these individuals receive $150,000 in pension contributions from SEIU, this is more money on top of their pension. This is why the International Union is so out of touch with the average member that barely makes $25,000 per year! They cannot relate because they don’t live in the same hemisphere. The very corporate model that they have criticized for years is what they’re using in their own organizations. What’s ironic is that Mary Kay Henry is responsible for Trump winning the white house when she did an early endorsement of Hillary Clinton despite widespread disapproval from her own executive board. If Mary Kay Henry stayed neutral and let Bernie Sanders compete with Hillary, but the outcome would have been different and Bernie Sanders would have won, going on to beat Donald Trump, as the polls predicted. Instead, Mary Kay Henry endorsed Hillary Clinton early and gave her hundreds of millions of dollars of political contributions, secured from the members’ money, tilting the scale for Hillary. These political contributions are exactly what Mary Kay Henry’s program is all about. She has abandoned negotiating strong contracts and representing members, instead Local Unions are ordered to double up on COPE contributions at any cost. This was evident when Local 73 was trusteed. Dian Palmer and Denise Poloyac were not interested in negotiating strong contracts for the members and representing workplace issues. Instead, they embarked on a six-month program to re-train the staff on how to collect more political money and send it to Mary Kay so that she can shower the democratic party candidates with your hard-earned money. Mary Kay Henry is out of touch with what the members’ needs are. It’s time for the members to wake up and vote these leaders out! It’s time for change! 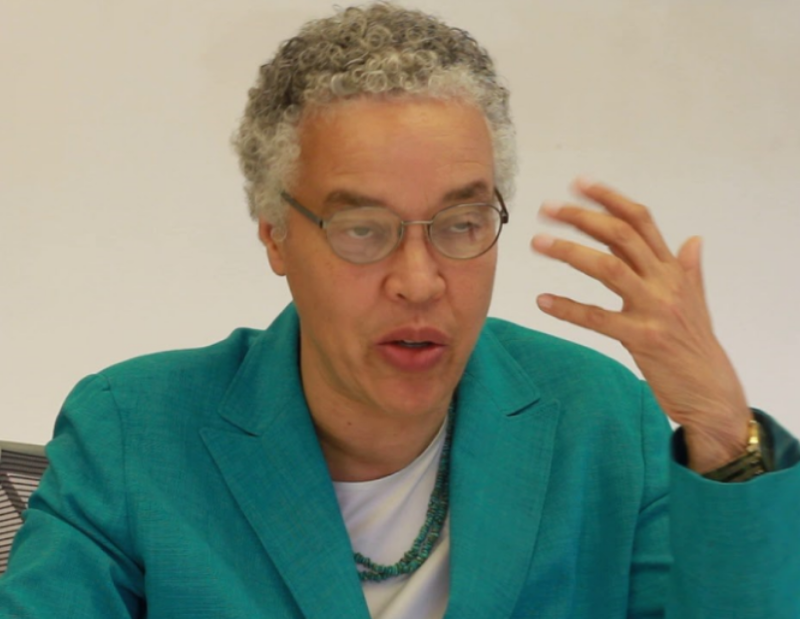 SEIU gave Toni Preckwinkle $1,000,000 to run for Chicago mayor. “[She] laid off SEIU workers at Cook County”. Gery Chico is a lifelong Chicagoan - born and raised in the city. He is the most experienced candidate in the race having served as the first Latino Chief of Staff for a mayor, rebuilding over 70 neighborhood schools as head of CPS serving as Chairman of the City Colleges, Chairman of the Park District and a Small Business Owner. As mayor, Gery will focus on rebuilding our neighborhoods, strengthening our schools and making our city safer by reducing crime. He will end massive tax breaks for commercial office buildings, fulfill pension obligations, reinvest in our neighborhoods and rebuild our schools. To learn more about his campaign, visit: chicoformayor.com. Gery Chico, upcoming candidate for Chicago Mayor.